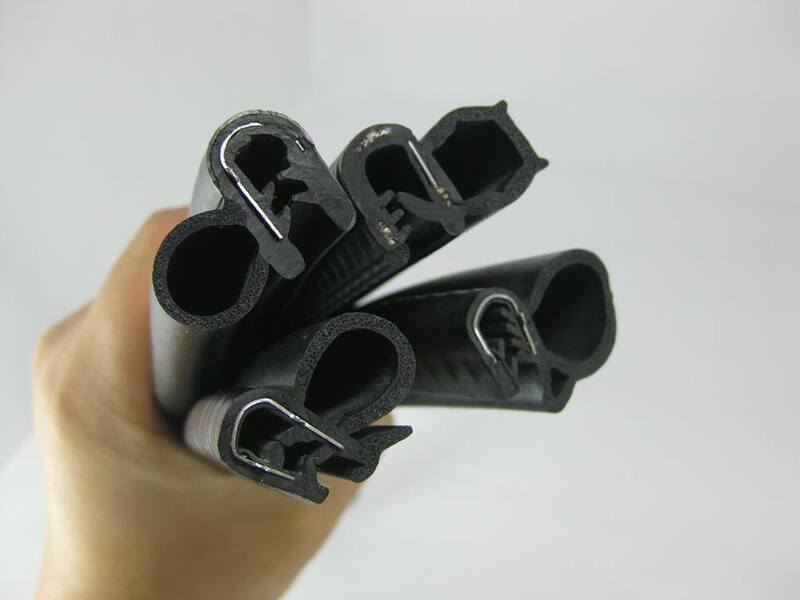 U channel flexible rubber edge trim with reinforcing double-sided steel belt pvc surface texture can be applied to various of door and windows, such as wooden doors, plastic-steel doors, security door,moving gates, sliding doors, auto doors etc.The hardness of rubber strip is 65 Shore A and the raw material for this strip has good elasticity and easy to install onto the plastic steel window. Widely used on Household appliances, hotel, hospital, business building, clean projects, and large market malls etc. Welcome to visit our website ， if you interested in our product , please send email to sales@rubber-sealstrip.com .